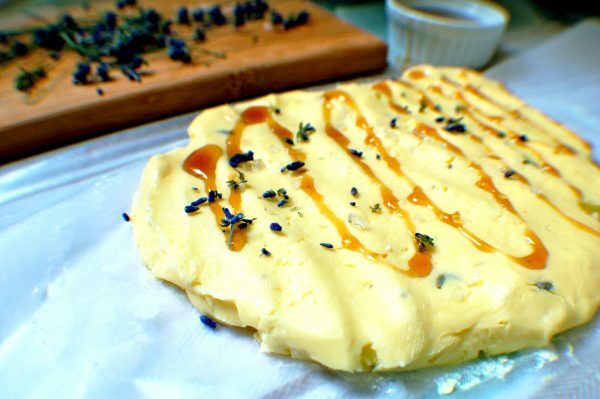 This Lavender Honey Butter recipe is perfect with scones, biscuits, toast, muffins, coffeecakes cornbread, and so much more! In a medium sized mixing bowl, whip together the ingredients until light and fluffy. Remove butter from the bowl and spoon onto parchment paper or plastic wrap. Form into a log and refrigerate for 2 hours before using. The honey butter may be stored in an airtight container and refrigerate for up to 2 weeks.